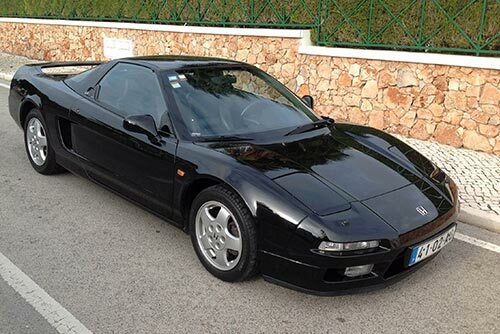 A 1992 Honda NSX, owned by legendary three times Formula One World Champion Aryton Senna, is set to go under the hammer at Silverstone Auctions’ Race Retro & Classic Car Sale on the 22nd and 23rd of February. 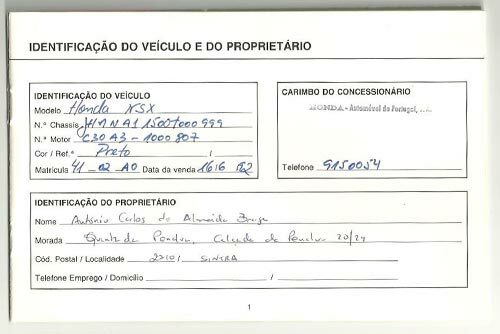 The car was originally purchased by Antonio Carlos de Almeida Braga, close personal friend, manager and mentor of Senna, for the driver to use when visiting his Portugal home. Following Senna’s tragic death at Imola in 1994, the car remained in the garage at Braga’s home where it was not allowed to be touched or driven by anyone. After two years it was eventually sold to a buyer who kept it only a short time before being purchased by the current owner seventeen years ago. Senna was personally involved in the development of the NSX due to Honda supplying engines to the McLaren F1 team, a partnership which is set to resume again for the 2015 season. The car, offered with an estimate of between £75,000 to £85,000, is presented in black with a black leather interior, manual gearbox and has covered just 31,800 miles. When choosing the car Braga made sure it was set to the same specification that Senna chose for his own NSX and is regarded as the ultimate combination for the car. This year sees the 20th anniversary of the death of the racing icon and the car could prove a great investment for buyers,with heightened interest in the much admired Honda NSX as the 25th anniversary of its introduction approaches next year.